A state ministerial panel set up to review tax rate on lottery Monday favoured a uniform GST rate of either 18 per cent or 28 per cent -- a final call on which would be taken by the GST Council at its meeting on February 20. The eight-member Group of Ministers under Maharashtra Finance Minister Sudhir Mungantiwar favoured hiking GST rate on the state-organised lottery to either 18 per cent or 28 per cent. While the GST rate on state-authorised lottery would be retained at 28 per cent or brought down to 18 per cent. "The GoM favoured a uniform GST rate for both state-organised and state-authorised lotteries. A final call on whether that rate should be 18 per cent or 28 per cent would be taken by the GST Council on Wednesday," an official said. While Isaac did not attend the GoM meet on medical ground, Badal was not present as he had to present the state budget in Punjab Assembly. Tax officers from West Bengal attended the meeting and is said to have flagged the issue of rate rationalisation in the light of the general election slated to be held by May. "Other states, including major ones like Maharashtra, Assam, favoured a uniform GST rate," the official added. The GoM was also tasked to suggest whether private persons authorised by the states were misusing the lower rate and getting enriched themselves at the cost of the state and suggest measures to curb it. It was also mandated to examine issues related to enforcement including the legal frame work, so as to prevent evasion of tax on lottery and suggest appropriate tax rate to address the problem. "It was decided in the GoM meet that decision relating to tax rate changes should be brought before the GST Council on February 20. Evasion aspect in lottery can be dealt in subsequent meetings," the official said. The ministerial panel was set up last month to suggest whether a uniform tax rate should be imposed on lotteries or the current differential tax rate system be continued. 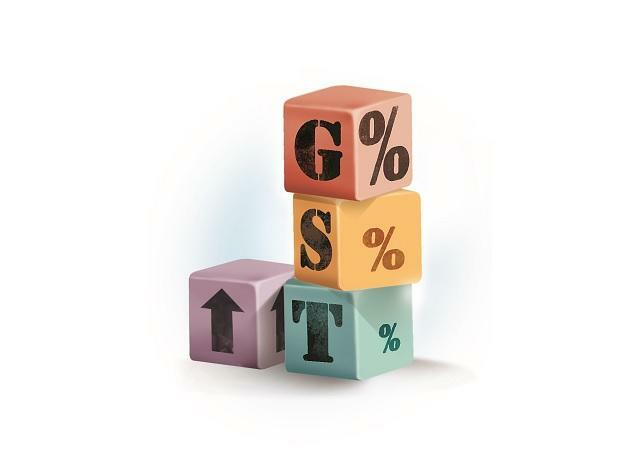 The 33rd GST Council meeting would also take up the issue of lowering Goods and Services Tax (GST) on under-construction residential properties to 5 per cent without ITC, from 12 per cent currently. On affordable housing segment, it was suggested that GST be slashed to 3 per cent, from 8 per cent.